Following a weekend of selection events attended by ninety-two young climbers, members of the 2017 Development Squad have been identified. The GB Senior Team has been selected too. The way in which young climbers will be selected to represent Great Britain at international events has changed. Previously, climbers were selected for the GB Junior Teams at the end of each year. Young climbers are now selected for the Development Squad at the end of each year. They will then be selected from the squad to represent Great Britain at international climbing competitions during the year. The Senior Team has not changed in structure in the way that the Junior Teams have and its members are listed below too. The GB Climbing Team is supported by Berghaus and the Senior Boulder Team is sponsored by The Arch Climbing Wall. Aaaaaand still no speed team... So, still no clear plan for Olympic 2020 preparation of athletes. 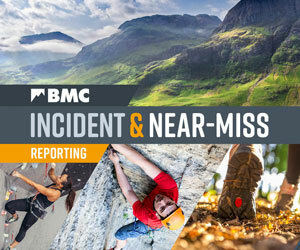 Does the BMC have a plan for the Olympics at this point, and if so when are you going to publish it? Focusing solely on lead and bouldering as separate entities is no longer realistic to enable the athletes to compete in the trio required for 2020. Interesting list! So the only existing team members who didn't make selection are those that didn't make the cut in the move from junior to the smaller senior squad, or who have left the country. It appears that once you're in you're sorted, poor performance in competitions doesn't matter. Nice! In answer to 2 - read the selection criteria. Firstly, results are no longer the sole factor in selection, and secondly it was openly stated that existing team members, if not up to standard, would have a 6 month grace period in which to come up to scratch before potential de-selection if there was no improvement. Not quite "sorted" as you suggest. Finally, as the parent of a GB Development Squad member, please don't take your own vicarious disappointment in your child's non-selection out on those who were selected by denigrating their achievement. If you and your child feel wronged by this selection, work hard with them, train harder still, don't carp and prove the selection panel wrong! In answer to 3, no one knows what standard the bmc are working to as none were published or made available, therefore any previous team members or indeed climbers who are coached by management would have a distinct advantage. If all was equal why not give all selected for the day 6 months to improve to the "standard"
your logic, 4, doesn't follow. Given there are member on the squad who have a 6 month grace period surely shows that they were NOT pre-coached or pre-warned of what the selection weekend tests would be. If they had been so pre-coached, they would have passed and no 6 month period would be required. The suggestion team management actively coach to a hidden standard is just not proven and unless it can be definitively proved should not be made as it denigrates the success of those selected. I would also argue those previously on the squad earned that 6 month space over a number of years, not just showing up in a final or a podium at one competition but regularly and consistently excelling whether at top or bottom end of their respective age groups. Under the previous system - and this has happened previously - a young climber could lose their place by having one bad day all year if that bad day happened to be the selection event, with no credence given to their previous record. It also accounted for young climbers losing places every other year as they moved up an age category. I would argue that system was inherently unfair too. At the end of all this, it is worth remembering no system may be perfect and cases could be argued for individuals both selected or not selected. What we do need to do is give the new system time and then judge? Just to finish, I do sympathise with those young climbers who were not selected, but the way to go is to prove the selectors wrong. Sport has its knockbacks as well as its successes. Use the knockbacks to strengthen and come back stronger. Yes there are a lot of cracking, very talented young climbers on that list that fully deserve to be there. Unfortunately the lack of transparency (is secrecy to strong?) in the selection criteria and the apparent bias towards climbers from coaching teams where the coaches have a direct input in to those selected has left The BMC open to such criticism. It is a shame for those successful as it has tainted their selection. The above cooment may be sour grapes but The BMC promised a more transparent process and haven't delivered. They posted the list as the office closed for Christmas and ran for the hills - did they know it was controversial and hoped everyone would have calmed down by the time they came back to work? Such an unnecessary and negative thread and it does nothing to teach our children about how to deal with not succeeding first time, brushing the disappointment off and trying again. Ok 3 let's deal with facts. The selection criteria clearly states..."Current members of the GB Climbing Team will be required to go through the selection process. be ineligible for re-selection." That hasn't happened. Maybe people wouldn't be so annoyed if the feedback given had actually been worth something. The selection criteria gives a clear indication of the % levels expected at each age group for each area being considered. So why wasn't this used in the feed back? There is no indication of how close/far the climber came to meeting the selection criteria. Why? This lack of clarity leads to mistrust in the process. The feedback received amounted to half a page. Total words (not counting headings) approx. 60. Four points of Areas of Strength - 14 words. Four points of Areas to Improve - 8 words. Some of that fairly meaningless and just raises more questions than answered. Then the rest was generic growth/nutrition advice. Why didn't they include the % scores in the feedback? We think the selection process and the selection weekend was very good. Thank you to all GB management and coaches for your time. The organisation was excellent and the day ran to schedule. The physical testing was an excellent addition to the selection process, identifying those who train for long term performance rather than short term wins. It is a shame that accusations of non transparency and bias towards those whose coaches are on the GB team management have tainted what should be a very proud achievement for those selected. Unfortunately there are only a few qualified, competent coaches in the UK, and those coaches on the GB management team are in demand for climbers of a high standard. It is damaging to those children selected to make uninformed and disrespectful comments about their selection publicly. Senior lead team looks a bit thin on the ground. A lot of comments seem to be for the junior team, my concerns are the continual and historic loss of talent once athletes hit the Senior age group. With the run up to the Olympics what support will the BMC be able to offer the senior group in an attempt to retain and develop the existing talent pool. As a parent of a child on the development squad I heartily applaud the decision taken to change the process of selection from that which was previously used (5 I believe makes a very good point here on this point, and personally I think that the data that OYEs provide could be better used in terms of selection etc, but that’s for another thread). The event itself was well organised and I’m sure considerable time and effort (no doubt unpaid) went into putting on this event. I like the concept of a ‘development squad’ too, and if the vision for the development squad is harmonious with Tom Greenall’s views in 2014 (https://www.thebmc.co.uk/the-future-of-climbing-coaching) then it has my backing. This was the very first selection event of a brave new process, and for that alone I believe it needs our full support at this time. However, as with any new process, there will always be lessons to be learnt, and a number of comments have been made in this thread which are understandable and which I believe have some merit. In an ideal world the process of selection would have been comprehensive and objective and transparent and seen to be free of bias etc (that’s not to say that it was not, but I believe it is important to be seen to be fair). A lot of kids have devoted considerable time and energy (as indeed have their parents, and money too) towards making the development squad, and they should have been able to feel they would have a fair crack of the whip, and that they knew in advance what was going to be expected from them and tested. I personally do not believe the data provided in advance of the selection day was sufficient in this regard. Furthermore the event was not free, and for £30 (plus travel and accommodation) I believe all kids and parents deserved that at the very least. I like to think that a lot of the heartache and disappointment from some of the posts on this site would have been avoided if this had been the case. Hopefully the next selection event will take this on board, and indeed it would be helpful to see the GB Climbing Website become the portal for such information to be made easily and freely accessible. The comments previously made re speed climbing do raise an interesting point: for a while speed climbing has been the elephant in the room, and simply because this is now going to feature as part of a combined event that may only feature once every four years (and indeed may be once and once only), do we now need to fully embrace it? There will no doubt remain plenty of other climbing events in the calendar that do not involve speed climbing, so do we now specifically target this (and indeed would any Olympic funding depend on this)? I’m curious to know what GB Climbing’s vision is in this regard. Well done BMC too for keeping this thread open. The fact that the website has now had nearly 10,000 reads shows how relevant this process is to many people. Please spare a thought for the Paraclimbers, they seem to have been completely forgotten since the Olympic 2020 bid was successful. Where is the equality in this? We have a full 4 event BMC paraclimbing series planned for 2017 and have proposed two Para World Cups to the IFSC (one in Edinburgh and one in Sheffield) - on the premise that all the IFSC para cups are made into a World Cup series - we are waiting to hear back from the IFSC on this. Also paraclimbing has just been recognised by the IPC - http://www.ifsc-climbing.org/index.php/news/item/876-the-ifsc-joins-the-ipc-family - so paraclimbing has certainly not been forgotten by the BMC.